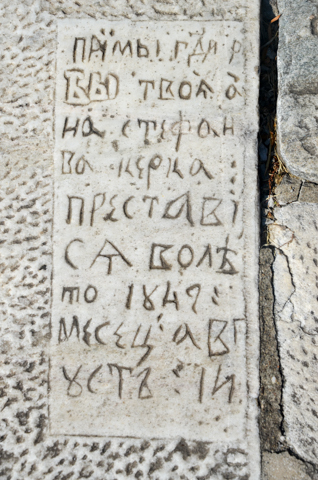 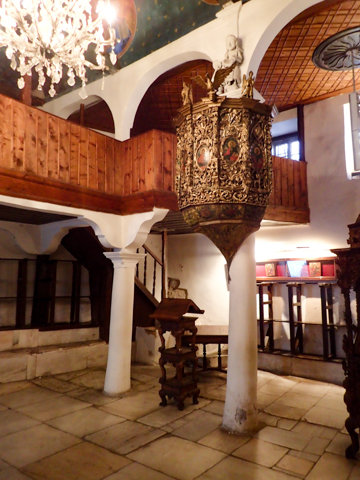 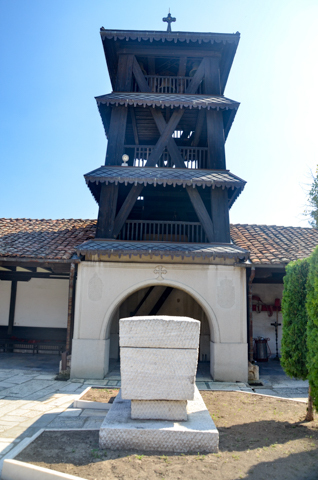 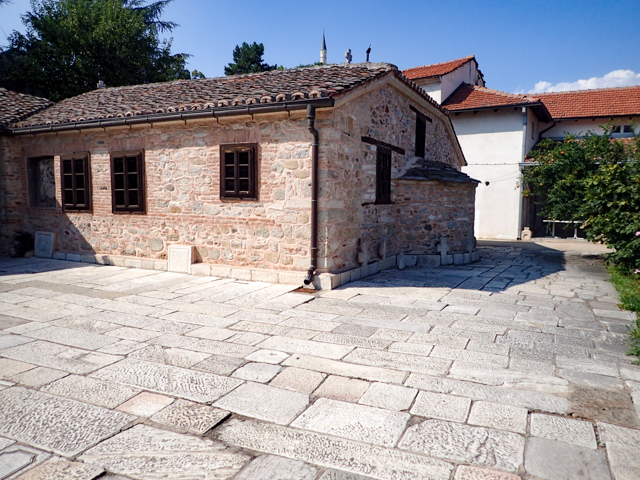 This 16th century church dedicated to the Ascension of Jesus Christ or Holy Saviour, Sveti Spas in Macedonian, is located near the Old Bazaar (Stara Charshija) just below the Skopje Fortress (Skopsko Kale). 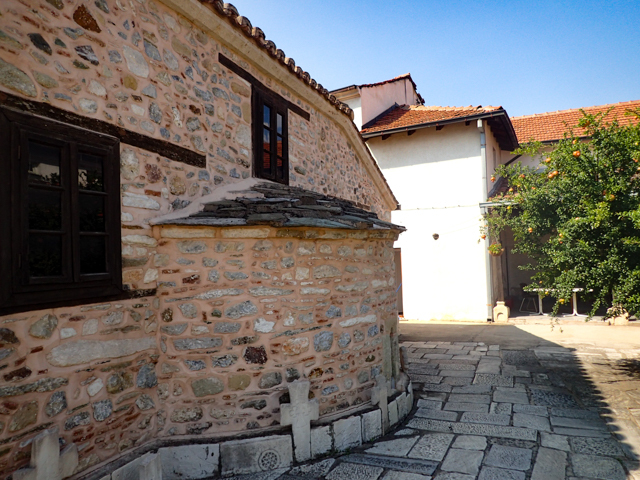 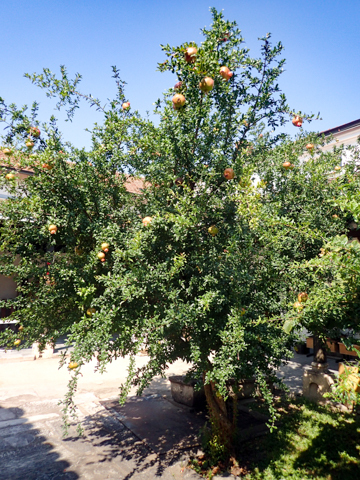 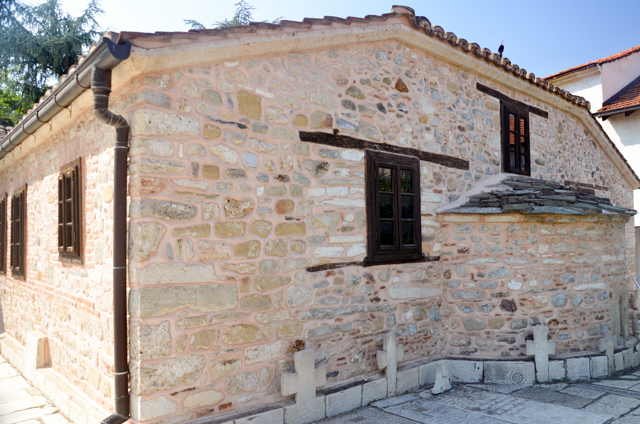 The church is inside a walled compound and you’ll need to enter through a heavy oak door. 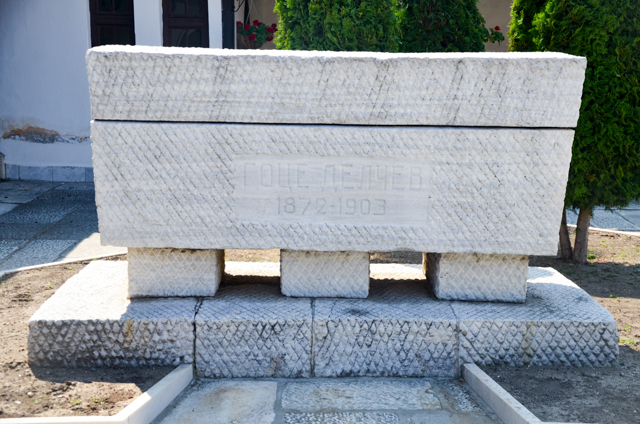 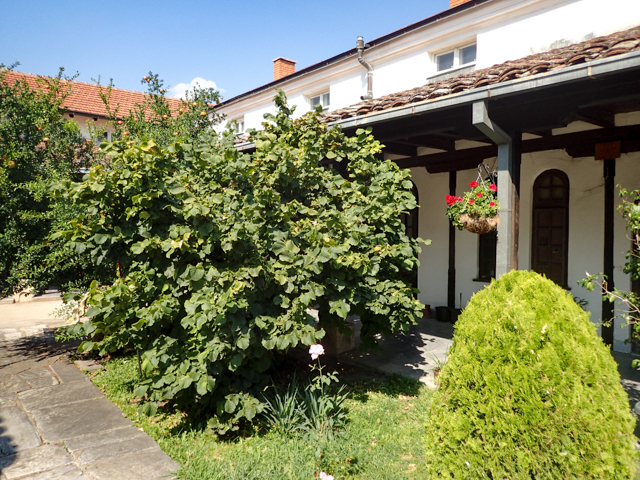 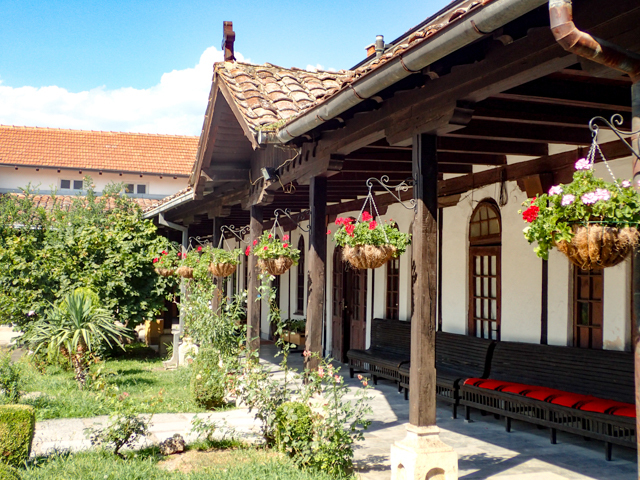 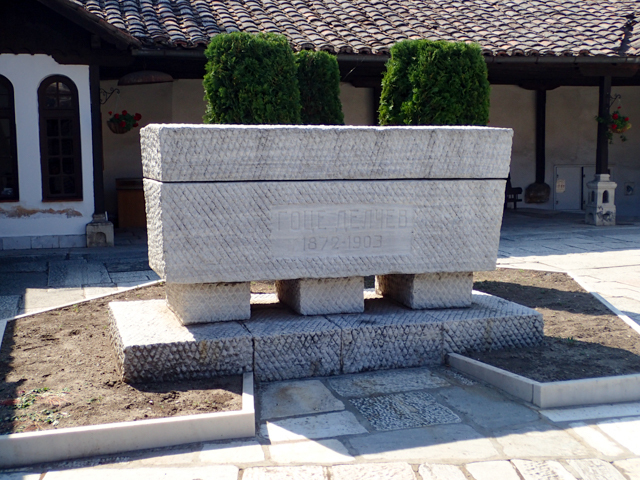 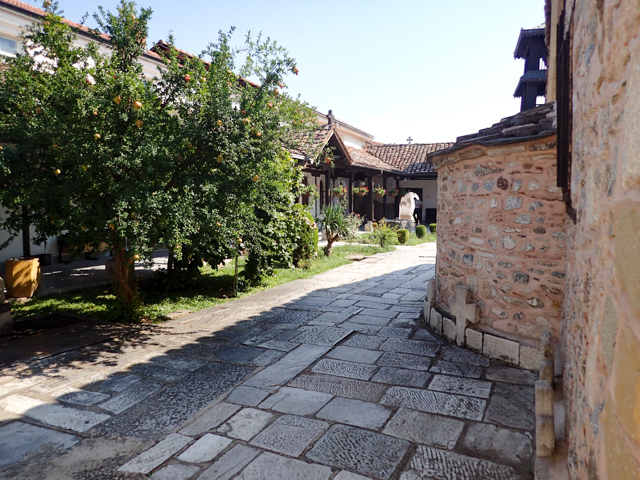 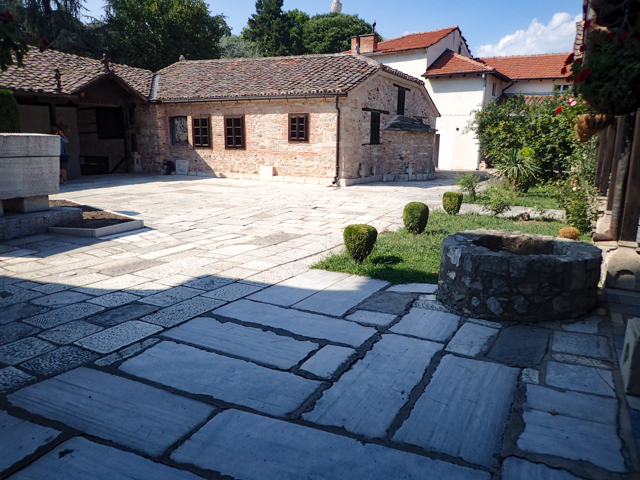 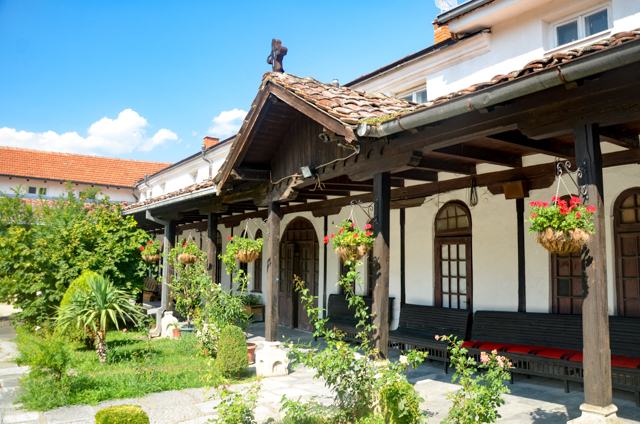 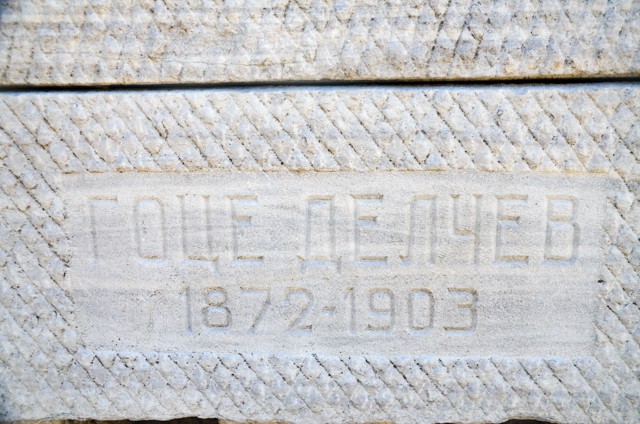 When you walk through the door you will enter the courtyard and immediately on your left you will see the white marble sarcophagus containing the remains of Goce Delčev (Гоце Делчев, Gotse Delcev), the Macedonian revolutionary hero and leader in the movement for Macedonian independence around the turn of the 20th Century. 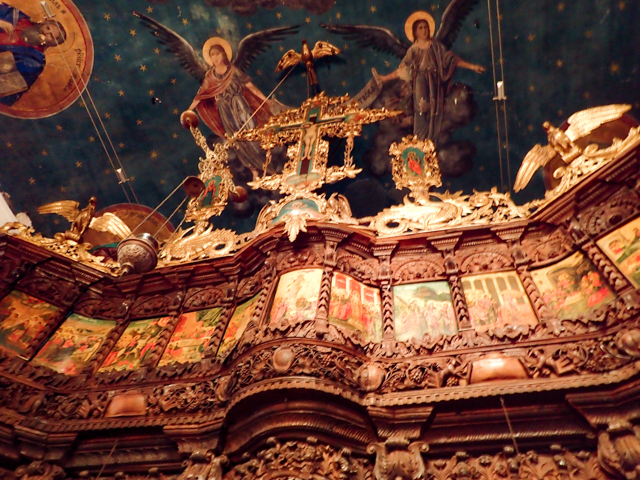 The outward appearance of the church is humble and without imposing structures such as a large dome (cupola). 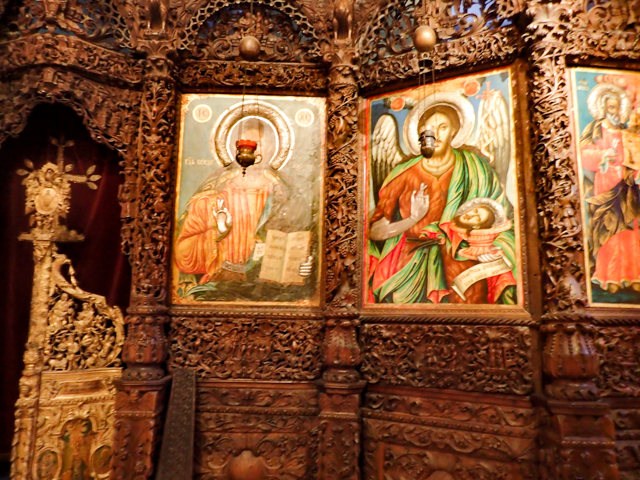 Spoiler Alert: The real treasure is inside the church. 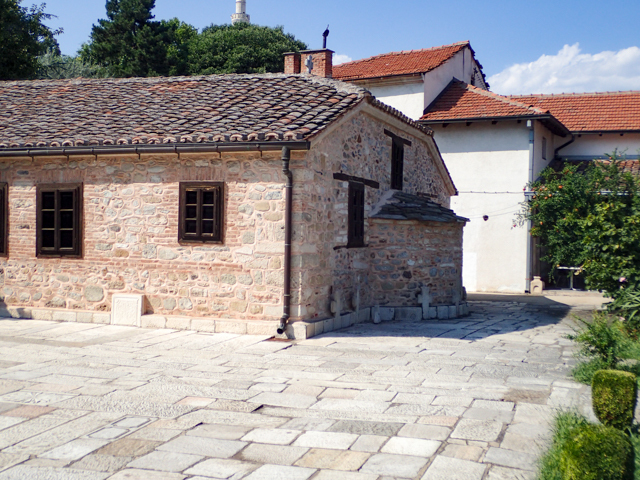 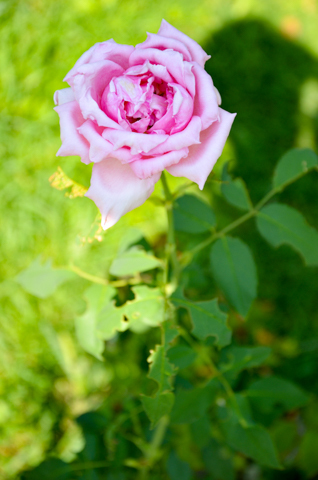 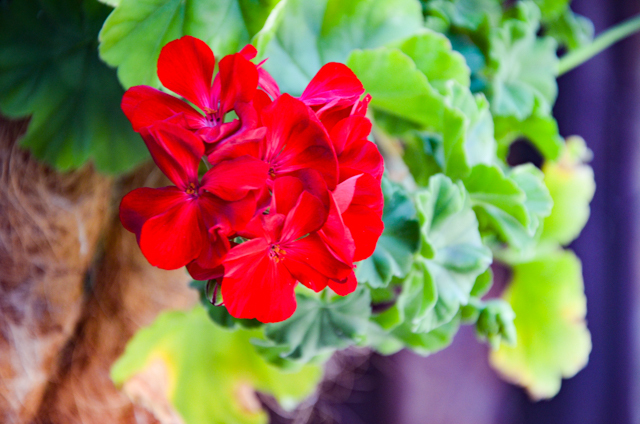 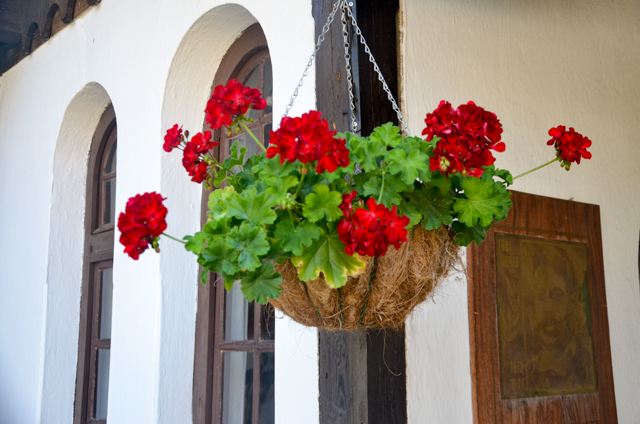 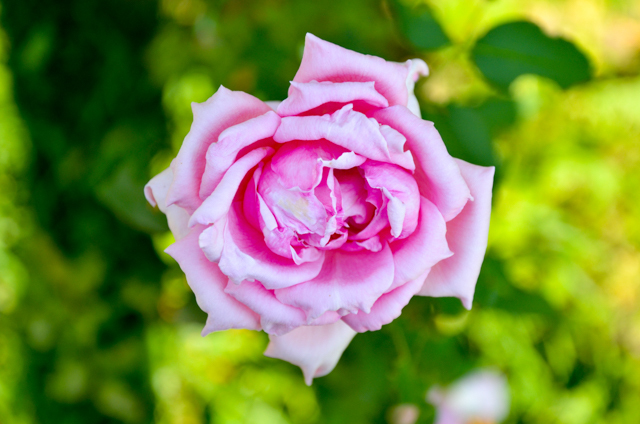 The church is constructed with three naves and elegance is in its simplicity. 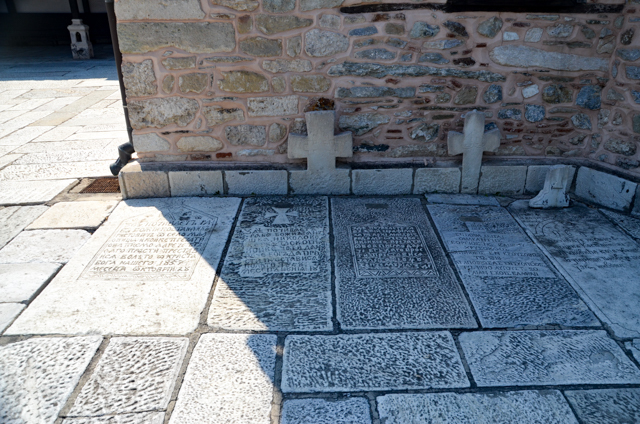 At the rear of the church, you will find crosses and white marble grave markers that blend into the rest of the courtyard. 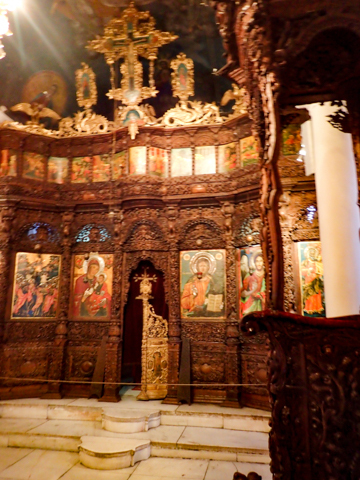 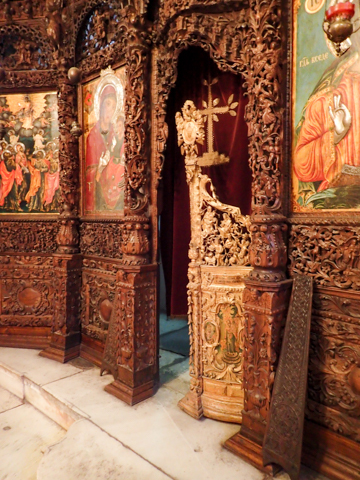 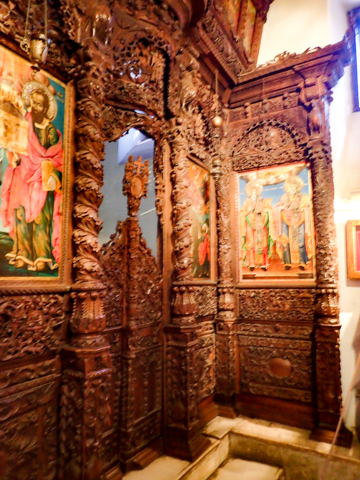 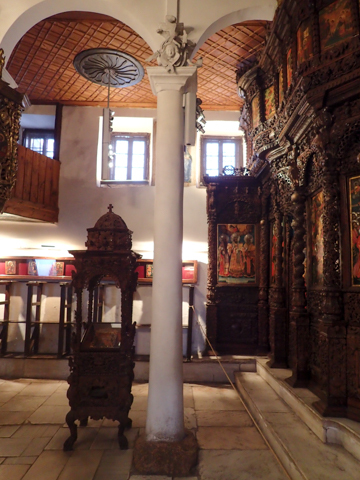 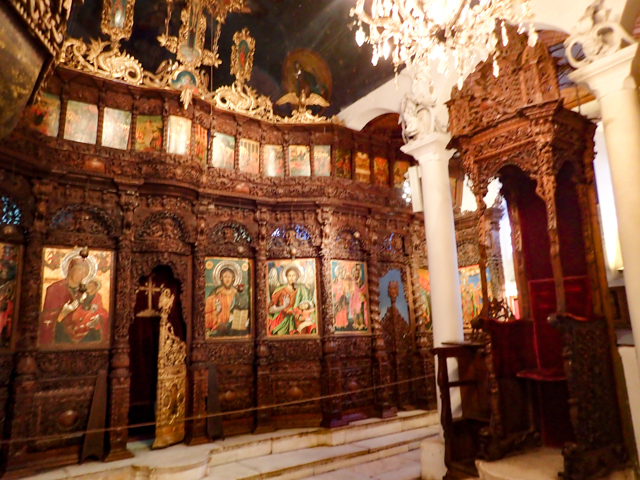 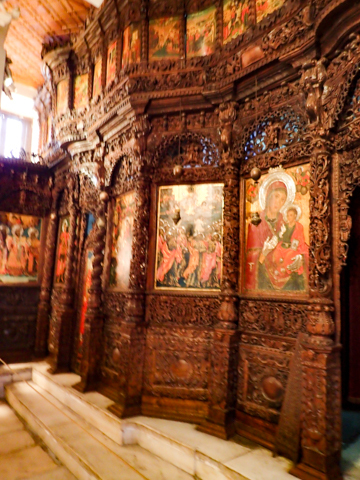 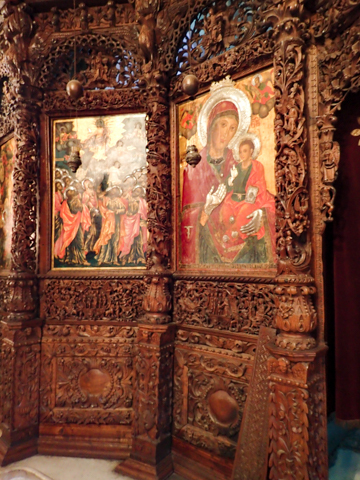 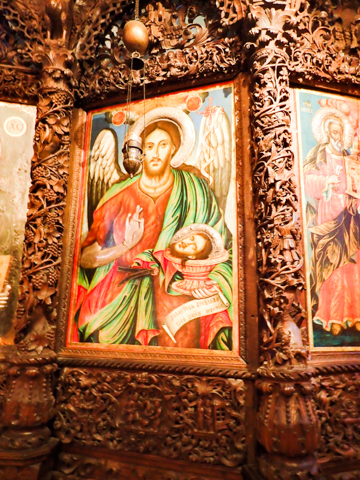 Petre also created magnificent iconostasis’ at the Jovan Bigorski Monastery, the Lesnovo Monastery, Church of St. George in Prizren, and St. Nicholas in Krushevo (which was burned during the Krushevo Revolution in 1903). 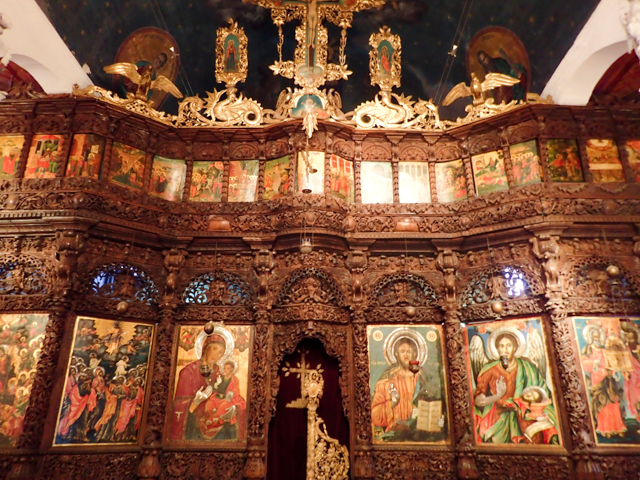 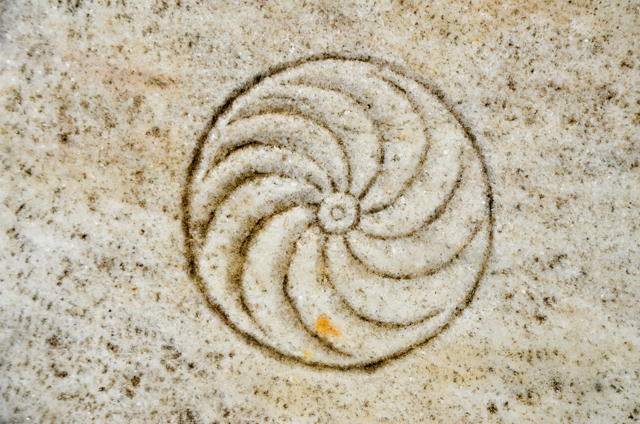 Petre born in the 1780s in Gari, completed this work in 1824 and lived for another 30 years, creating more works of art, his last masterpiece being at St. Nicholas in Krushevo.